It really irritates me that every time I look at the display when my cameras are running, I see this "check entire surrounding" message. Sometimes, it's actually blocking the view and I can't see what's going on. Does anyone know if there is a way to remove it? 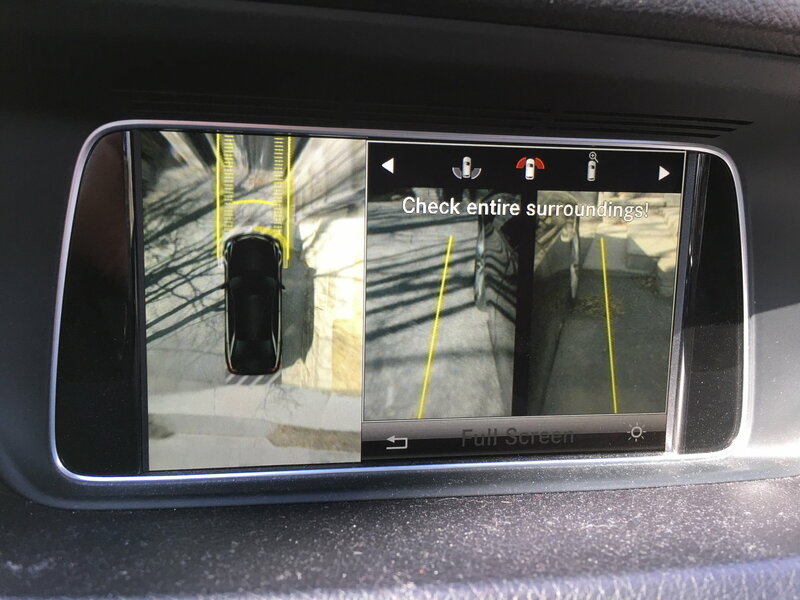 You are getting proximity warnings at the front of your car for being parked very close to immovable objects, at the same time the 360 camera is activated. Just head the warnings and I cannot believe this script is actually blocking your view. Maybe look out the windscreen? I know of no switch to turn that programmed script off.